I'm really lucky that Quilt in a Day is down the road from my new house!! In addition to Eleanor being quilting royalty... the shop itself is fun, bright and filled with lots of yummy fabric. Starting in January I'll also be teaching at the shop!! More info to come... but today it's all about the giveaway! Quilt in a Day has adapted 12 Kansas City Star Blocks into a Free Facebook Block Party called Treasure Chest. 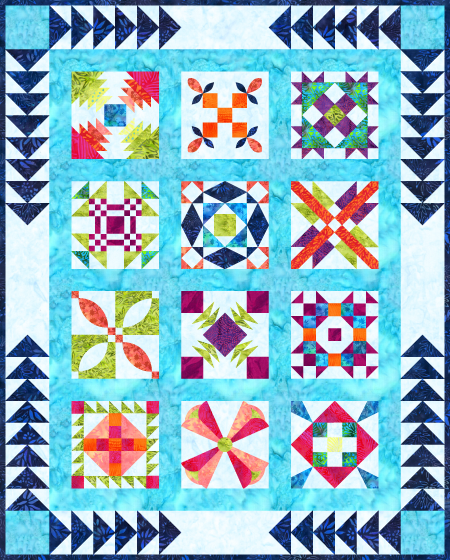 Every month, you can download a new fully illustrated 16" finished block pattern for free. They are currently on their first block, Pineapple. leave ONE comment to enter. 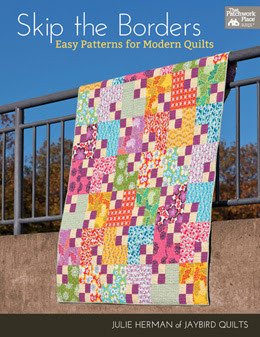 In your comment tell me what you like about Eleanor Burns and/or Quilt in a Day! OMG! That's an awesome giveaway! Once in a blue moon, I catch a quilt show that geatures Eleanor Burns. I particularily liked the show that she showed how to make the QAYG stockings. Thank you for the giveaway! I love Eleanor! Cracks me up when she tosses her scraps over her shoulder. Wow, waesome give away! I love her shows to watch and the instructions are so easy to follow! I love that she makes things easy. Wow, what a great quilt! I love the block in row 2, column 2. It looks like there are curves in it at first glance but there aren't! This is a little embarrassing, but I wasn't really familiar with Quilt in a Day or Eleanor until this post! But I did go over and "Like" her page because this QAL looks like tons of fun! Thanks for the chance at the gorgeous kit! Great giveaway, I love batiks! 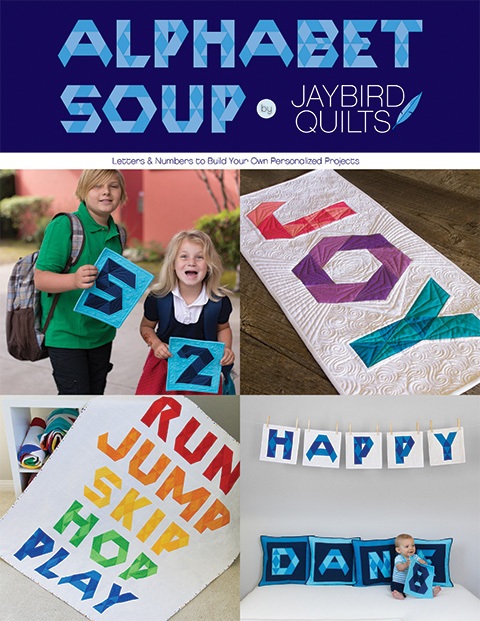 The Quilt in a Day looks like a fun project and the fabric choices in the photo are really beautiful. I love the simple directions that result in a much more complicated (than it looks) blocks AND of course, Eleanor's personality. Again thanks for the chance! I just completed my first Eleanor Burns quilt project (a king-sized Radiant Star). I was amazed at how her pattern instructions made this very complicated, pieced quilt easy to understand and accomplish! The very first quilt I made when I was about 15 was one of Eleanor's. I'd love to win this batik bundle. I was glued to the TV set every Saturday morning when our PBS station used to air Eleanor's show. She always makes me feel like I can do ANYTHING if I just try. Love, love, love her sense of humor. Great giveaway - I heart batiks - thanks fo much for the chance to win. Eleanor Burns is one of a kind. She has a fantastic personality and she is a great teacher. I love her carefree manner, especially when she tosses the fabric scraps over her shoulder. Thank you for the generous giveaway. I love when she throws the scrap fabric over her shoulder..and I have used her Quilt Around the World pattern a few times and her instructions are fantastic. Eleanor Burns was my instpiration to begin quilting. I watched her TV show for years even before starting my first quilt. I love HER! Her great sense of humor, her ability to take a challenging pattern & make it easier, her role model as a SUCCESSFUL single mom, and her warm, caring personality! The batiks are GORGEOUS and I would love to be the lucky one! Keeping my fingers crossed! Eleanor Burns is energietic, funny and teaches clearly. What's not to like? What I like about Eleanor Burns is that she is so genuine. She is not afraid to be just who and what she is, and I admire anyone who can do that. 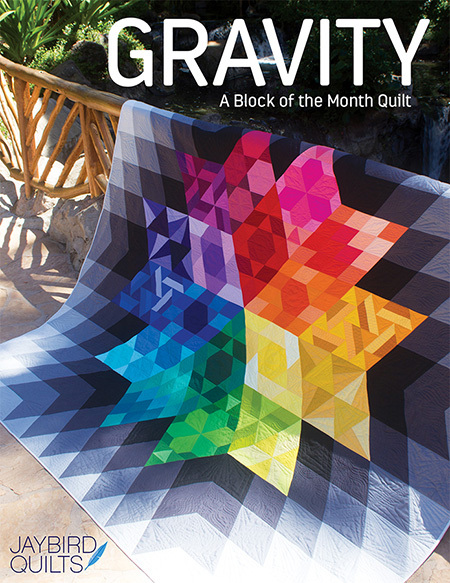 Plus she's just so darn talented at figuring out easy ways to make complicated quilt blocks! I'd love to be counted in for this giveaway. Though not familiar at all with her quilts I did visit her site. Like the log cabin design quilt most of all. Thanks for introducing me to Eleanor Burns. I went to her facebook and "liked." What a great giveaway too! Thanks for the chance! I love her sense of humor. And her engineering ideas - she comes up with great ways of cutting to make perfect blocks. I love the Quilt in Day series of books. I learned to quilt with the Log Cabin pattern .. and still have the book with my notes !! This free quilt is awesome! Thanks for sharing this Julie! OMG! Those are gorgeous. Ive never met Eleanor, but my very first quilt was a Quilt in a Day Irish Chain. LOVE IT! =) And how lucky are you to be right down the street!!! Eleanor puts the fun in quilting! Thanks for a chance to win! Sorry to say, I don't know much about her, but i think the rulers look FANTASTIC! I'd never heard of her before today but I sure like the quilt along on Facebook. I haven't had the pleasure of seeing her at a show, but I hear she is real funny. Thanks for the give away. I love her patterns. They are so quick and easy. The directions are so well written. I love the radiant star book. A lady who throws fabrics scraps over her shoulder?? Sounds like my kind of quilter!! I'd love to have a quilt shop down the road, sadly my nearest is 70km away! I must be totally out of the whole quilting celebrity famous people thing, but I have never heard of either. However, after checking out the website, I LOVE that pink fabric is on sale this month! AWESOME! <3 that you can watch Eleanor's stuff right on the website! I can't resist a giveaway! I went to Lady Eleanor's FB page and "liked" it(how have I not done that yet?) --I came in at #13,131! How's that for lucky?! and on a Friday no less! I love her attitude, and I LOVE the colors of those fabrics. Yum! Wow, what a generous price! Thanks for the giveaway! This giveaway is very exciting. I've been following Eleanor since the 1980's when I first began to quilt. It's her sense of humor that I love the most. Love the pattern and the fabrics are beautiful. I love doing monthly quilt clubs. These blocks look very challanging and I hope to up my skill level! Oh what an amazing giveaway! I just love those colors! Thanks for introducing me to Eleanor! She is very creative and love her patterns! These batiks are beautiful...love the colors! Hi: Eleanor is the best. I learned to quilt watching her. You always have a special place for your first teachers. Everything was explained in a way I could understand and I actually made a bunch of her patterns and used many of her techniques. I wish I could go to her retreat...just too far from me. But I love the fabric and hope I win. 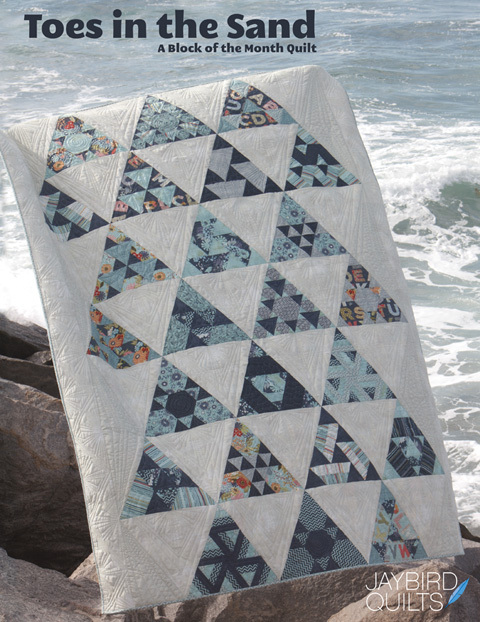 I'm just now hearing about both quilt in and a day and elanor burns but I love the FB BOM and will definitely be looking into both the shop and elanor more. How much fun! I love the vibrant colors in this kit! I love Eleanor Burns easy no-nonsense "this is the way to do it" instructions for quilting. I love love her Log Cabin quilt instructions and books. She seems as though she is with me when I am working on one of her patterns. I love how easy Elanor makes it to follow her instructions! The first quilt I ever made was an Eleanor Burns 'Quilt in a Day' quilt. I slept under it last night and I made it in the 1980's. She's the person who got me started. What a great giveaway, the colors are beautiful! I love to watch Eleanor Burns sew on Quilt In A Day, she is so fun! I just love her..........her patterns are easy to read; she is always happy; her shows are very imformative as well as enjoyable; she makes me laugh. And I love the way she throws her scraps over her shoulder. (I have caught myself doing that a few times. I like her taste. Oh, and what a fantastic give away. That looks like a lovely kit! I've heard her name before, but am not familiar with Quilt in a Day. This quilt of the day BOM has a mix of traditional and modern blocks with the incorporation of curves which I'm excited to try out! I love her site. I like being able to watch videos. I've been able to learn a lot. Great giveaway! I like Eleanor because she seems like a genuinely nice person, and very humerous. Her quilting techniques are also very clear and easy. Thanks for the giveaways. I own quite a few and love her books! They are very user friendly! I have made many of her quilts and love them! What a great giveaway. I love watching Eleanor B. Have several of her books and they are so easy to follow. I have always enjoyed Eleanor's style of "simple, anyone can do" a quilt. She has a wonderful sense of humor when she teaches and has brought in many new quilters to the flock. Eleanor has been with me as long as I have been quilting. I love how she throws scraps around. It gives me permission to toss as well. I've made a few Eleanor Burns quilts and I love how she makes everything simple and clear. What an awesome giveaway! I love Eleanor Burns--she is so full of energy and her instructions are sooo easy! Love the scraps over the shoulder, too! I first learned how to quilt from Eleanor Burns books. She made it so easy to understand and I had no problem. The fabric is beautiful. Thanks for the chance to win. Wow! What a great giveaway! I like the pictures in all of the Quilt in a Day patterns. I'm a visual person and that was extremely helpful when I started quilting. I have found that her patterns make wonderful first quilts. Thanks again for all the chances to win this week. Eleanor's books always have very clear instructions, which is fantastic. Helps beginners and experienced quilters alike to be successful. The batik quilt is beyond gorgeous! I'm not that familiar with Quilt in a Day, but I'd love to learn more! I have seen her quilt books and patterns for a long time, but had never watched her show. I found her program and started recording it. I almost died when I heard her voice the first time, it was nothing like what I thought I was about to hear. (I thought it would be a lot deeper) She just seems like the sweetest person in the world and has great ideas on how to make things easier. What a fantastic give away. The colors are great!! I love that Eleanor Burns was one of the first to find a way to make a great quilt quicker with her great techniques! I like the concept of "quilt in a day"! I don't get anything finished in a day! Always some fiddly bits left. I like the FB pages too! Thanks for the chance to enter. Beautiful give away for sure. Glad you are back with us. Her directions are so easy to follow! Love her and enjoy her books! Sorry, I can't give you just one (please don't disqualify me!). Eleanor makes quilting fun and happy. And easy, I love some of her techniques like the flying geese and the pinwheels. It's such a surprise how the blocks evolve. When I have friends who want to learn to quilt, I often steer them towards her books. I love Eleanor's personal story...how she had to find a way to support her and her sons so she started from nothing and nowmlookmat her...yea Eleanor ...thanks for showing us that with hard work we can achieve anything! I like Eleanor because she doesn't try to reinvent the wheel when she designs a quilt but ssome fen offers you a different (and sometimes easier) way to make the wheel. The first thing I think of when I hear Eleanor's name is how she tosses fabric scraps over her shoulder when she's done cutting - love that! That is beautiful - thanks to both of you for a chance to win. Quilt in a Day and Eleanor Burns are new to me...looking forward to learning more on the Facebook page. Thanks for sharing and thanks for the chance to win! I love her how to video's and the websites great sale sections! Love the quilt!! I have never sewn with batiks before!! I like Eleanor Burns because she was so very nice when I met her at the Long Beach quilt show in July! I also love her patterns and can't wait to make the table runner kit I picked up at the show. What a wonderful giveaway - I love the way seemingly complicated patterns are made simple, and her "anyone can do it" attitude. I like the step by step directions - nothing is lift out assuming that the reader knows what to do. Thank you for the FB tip - had no idea there was a BOM going on! Thank you Julie....I would be broke living where you do...lol. I love Eleanor Burns...she make everything as easy as possible...beautiful fabric!! I love Eleanor!I love her site. I like being able to watch videos. I've been able to learn a lot. Great giveaway! I really like the way Eleanor shows you how to make a quilt with simple and easy steps. I also like her, she is always so nice and happy. Lucky you to be so close to Quilt In A Day and intriqued about your project(s) with them. What a wonder it would be to win this - I don't do FB so will miss out on the BOM. Thank you for the sponsored give away. I like that Eleanor Burns is a real person and that she's really nice. I saw her at the Houston International Quilt Show and she was a delight. Thanks for the giveaway! Wow! What an unbelievable give away! Thanks for your hard work and generosity! she just makes quilting so accessible! i've never used an eleanor burns pattern. i've seen them around and know she designs fabric for benartex. I have one of Eleanor's books - she makes things look so 'do-able'!! I love that Eleanor and Quilt in a Day constantly try new things and try to update their older quilts with newer fabrics! So happy for you! One of the best giveaways ever. I didn't know anything about her or quilt in a day but checking out facebook, it all looks awesome. Eleanor Burns has always been true to herself. Not the fad of the quilting moment and takes so much time to speak to simple people like me. She is the real deal. thanks for the chance to win the fabric. Lovers knot was one of the first quilt books I owned...Love quilt in a day books. I love Eleanors show. How lucky are you to have her so close by. I would love to win! An incredible lady. I am in awe of her knowledge and ability to share. I'm glad your move is working out. continued good luck. The very first quilt I ever made 30 years ago was from a Quilt in a Day book by Eleanor Burns. That was my first introduction to her, and I'll always remember her input into my quilting life. What a wonderful gift! I love everything about her..her shows, her books, and her shop in ky. I love her great sales at the Paducah quilt show! The fabric!!! It totally makes all the cuts and angles pop. I love it. Wow, what a generous give away! I've been a fan of Eleanor's since I was a kid--I think watching her and reading her books convinced me that quilts were still a viable, practical art. I used to watch Eleanor Burns' show and she is the one who inspired me to try and quilt. She always just cracked me up with her throwing the scraps of fabric around - which I do and would have without watching her. She kind of validated me to be messy. She also showed that you can do a quilt pretty quick - although that I have not been able to do. Thanks for the great giveaway. And lucky her customers to have a teacher like you there. Wonderful Giveaway. I love Eleanor Burn's beginner quilting books. I love the easy to read diagrams and her way of explaining. She makes it simple and easy to understand quilting. I'm not too familiar with either her or the shop, but I do like there is a store in San Diego county. I might just have to check it out. Eleanor is new to me - I had heard of Quilt in a Day but I thought is was just a store (that I HAD to visit in the future). Now I see she has a website - I cant wait to check it out!! Thanks for the giveaway!! I like how all of her patterns are very detailed and easy to follow. Thanks for the opportunity to enter another great giveaway! Eleanor was the first quilter I saw in action on TV. I watched her closely and tried to do things the same way she did them. That was about 100 quilts ago! How embarrassing to admit I hadn't ever heard of her until today :( But after looking into her FB page a little, I can see this is the beginning of something awesome for me!! Awesome giveaway! I haven't make any of Eleanor's Quilt In A Day have been looking at them recently. I'm definitely going to sign up for her BOM. I like that her patterns are easy to understand, and you really can learn to quilt! In spite of her fame and fortune, Eleanor Burns remains so real, such fun, and a true inspiration to anyone who aspires to create, or to start a business, or to be a true star. And would I love to win that fabric, oh, my yes!!!! I love her helpful and easy-to-follow books! And the use of color in this quilt! Awesome! I love her approach and her talent! I like that she sponsored this give away! How awesome are batiks! Oh to live just down the road from a favourite quilt shop - heaven. Thanks for a chance to put all those batiks into a quilt. WOW, what a wonderful giveaway! I love her easy to follow instructions. I love her rulers and sewing notions, and her easy to follow patterns! Plus she is a hoot to watch on TV. She makes quilting FUN! Oh, I would LOVE to make this quilt for my bed! What a generous prize! I have Eleanor's book, Quilts Through the Seasons. The projects are beautiful, and the instructions are fantastic. Wow, the fabrics are lovely! Eleanor is so funny! I did go to FB & "like" her page and the QAL sounds fun!! Thanks for pointing me in her direction!! what isn't there to love, easy to follow directions, free patterns and so funny. Eleanor Burns makes things to easy to understand and she's just a genuine person - what you see is what you get! I watch Eleanor on PBS on Saturday mornings. I love her books and programs for such great instructions and ways to do things easily. What an awesome prize! I have loved Eleanor for a long time! I have two of her books and am presently making a Dresden Plate quilt by her directions. Quilt in a day,I didn´t finish a quilt in day. What isn't there to love about Eleanor or Quilt in a Day. Eleanor makes is exciting to quilt and shows us how easy and fun it can be. Oh wow - love the fabric! I love her videos. Thanks for the chance to win! I used to watch eleanor on pbs,then quilting became less fashionable. I have some of her rulers! Love the fabric! Thanks for the giveaway and thanks for the headsup about the Kansas City Blocks on Eleanor's facebook page. So far I've "liked" the facebook page! Hehehe. Thanks!! That you can download the pattern each month. Where would you get that kind of deal? (well there are some generous bloggers who is hosting giveaways for a whole week). I love Elanor's enthusiasm! I also love the sales at Quilt in a Day. I saw her lovely Koala studio online. There were also "before" photos -- her previous space was somewhat chaotic. I found it reassuring that she was still able to create marvelous quilts in a less-than-optimal environment. When I was searching to buy my 1st quilting rulers I came across Quilt in a day, thanks for introducing such a talented lady! I just LOVE Eleanor and her shows - always smiling and laughing, happily throwing the fabric over her shoulder. I don't think anyone can resist this lovely woman. When I read about how she started her business, being left by her husband and struggling with the sons, I almost fell into tears. But her success is wonderful, and I wish her all the best! When I decided to make my very first quilt, I went to Quilt in a Day (I lived in San Diego at the time). They helped me select a book and fabrics to make a tablerunner. I liked it so much that I made another one for my MIL for Christmas. 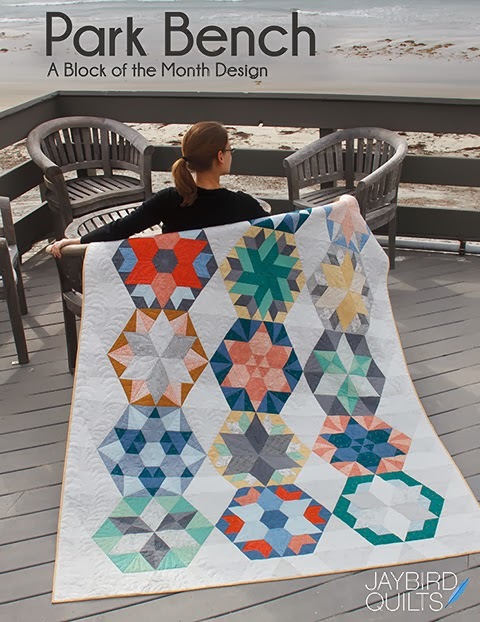 QIAD is one of the reasons I am totally hooked on Quilting. And Eleanor is a hoot! You'll have tons of fun, Julie! Eleanor breaks everything down and makes it really easy. She is so easy to learn from! I have been a fan of Eleanor's for quite a while. In fact I taught myself to quilt using one of her books and now I own several of her books. I have already liked her on Facebook and this fabric would really be fun to use in this project! I hope to get over to the shop soon. Eleanor Burns taught me how to quilt by rereading her Quilt in a day log cabin book. thanks for the giveaway! Quilt in ONE day? What's not to love? Thanks for the great give away! I use her flying geese rulers all the time. My friend always modifies my cutting instructions and patterns to accommodate that method. I also recently watched a video about her new quilt room and she was so fun to watch. What's not to like??! I think the first quilt book I bought was her Log Cabin Quilt in a Day book and I still love her books. Her directions are so clear and detailed. How lucky to live so close to her! I,ve visited her shop, and I loved it. I especially liked her parking place that said violators will be stitched in the ditch! two words, simplicity and beauty! enough said!! I like that she makes it all so easy! I love her instructions and her enthusiasm! Wonderful giveaway! I can see why you are jealous! I caught the quilting bug from watching Quilt in a Day! Eleanor makes everything look so easy! I've never actually seen Quilt in a Day as a show or book or whatever it is, but just the name of it would be what I like...being able to make a quilt in one day would be so cool! I've actually done it myself a few times without any patterns, just winging it, and it is FUN! So satisfying too! When I first got interesting in quilting, all the "grandma" quilters in my life were VERY serious. 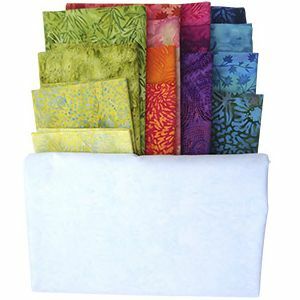 Eleanor made me realize throwing scraps over my shoulder could make quilting fun and achievable. I made one of my first quilts (an Irish chain) using an Eleanor Burn's book. She made everything so clear, and my quilt was a success. Thanks for the giveaway. Eleanor makes it all look so simple!! And she's so down to earth - not like "quilting royalty" at all! Thanks for the chance at an awesome giveaway!! Maybe I live under a rock, but I'm not familiar with Eleanor or QIAD! But I just went & "liked" the FB page and plan to check it out! I like Eleanor b/c she is a great teacher. That batik bundle is making me drool! I love that she makes quilting seem so easy. This is particularly great when you're just starting out sewing. Last year I made her Night and Day quilt and just loved that I ended up with 3 different quilts from it. She took the scraps I would have thrown away and made 2 more beautiful wallhangings out of them. Ingenious! Wow! What a giveaway! My first experience with quilting was taking a class using her trip around the world pattern about 14 years ago. I have been hooked on quilting ever since. Would be an honor to win - random generator give me some love! 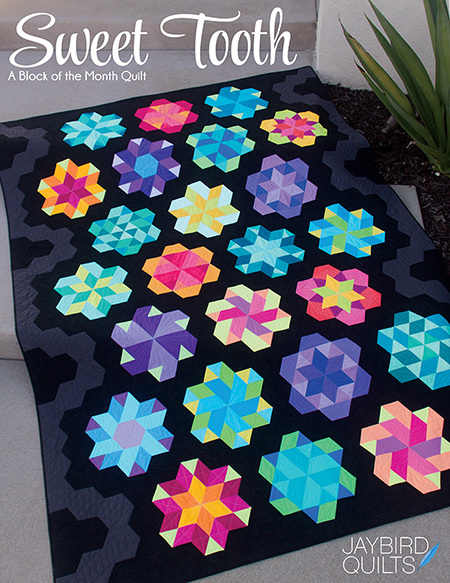 The whole Facebook Quilt Pattern each month is really cool idea...too bad I'm not on Facebook! I've never worked/had any Batik fabric before and would LOVE to win this! Eleanor is the best. She always provides the best, clear instructions to help even a beginning quilter be successful. Thanks for a chance at such a great giveaway. What a generous giveaway! Eleanor is the goddess of quilting! thanks for introducing her to me. I admit i am a new quilter! !, and would love to win this kit, what a great prize. i also liked the store on Facebook, so i can participate in the BOM. what fun. What an amazing give-away! Eleanor Burns and Quilt in a Day was the very first quilt I ever attempted when I started quilting. LOVE the easy instructions and how every level ov quilter can relate to her patterns and books. I have to admit that your entry is my introduction to Quilt In A Day, and glad for it. My favorite part would be the free patterns, of course! Eleanor Burns is the whole reason I started quilting back in 1989 watching her PBS shows!! I made several of her quilt in a day log cabin quilts and I was hooked for life. I love how Eleanor makes me feel that I could sew anything. A great confidence booster. Amazing giveaway! My first "real" quilt was a quilt in a day. Very easy to follow and I was able to make a beautiful quilt! Fantastic giveaway - what a way to come back to blogland! Eleanor Burns' book Quilt in a Day Log Cabin Pattern was one of the first patchwork books I bought when I made my first hesitant steps into the patchworking world four years ago!She makes it look so easy,which is a great confidence booster! Batiks! how fun - my daughter and I love them. And love her easy instructions ! so much energy! Eleanor is a hot, I've heard her lecture before. Love the batiks and that quilt is so happy and cheerful! What I like most about Eleanor is her fun personality..enjoy watching her!! What great fabric! I love that EB makes things so easy. I think Eleanor is the reason I first started quilting...she makes everything look so easy and fun! My favorite pattern/book of hers is the one on the Irish Chain! It is great you are so close to her shop! I appreciate Eleanor for being a quilting pioneer. She helped bring quilting back to the mainstream, and helped many people come to enjoy this wonderful obsession. I'd love to win this prize!!! I love Eleanore Burns' dynamic style and her clear instructions! Thanks for the giveaway--looks like great fun, even without winning!